We usually need places for seminars, workshops and our training in NLP and Wingwave methods. We had always been looking for comfortable rooms where you can feel at ease learning and working. By chance there was an old barn and house from the 18th century available very close to our Rondo office. Our aim was to blend traditional and modern. Through the use of recycled historical building materials and modern technology we created a unique atmospheric experience. For example the heating installation hidden behind the wall. In our guesthouse you can find sandstone walls, oak timber, hemp thermal isolation, restored half timbered work, mudbrick building style in different colours in the whole house, and beautiful furniture ranging from the Baroque time in Lorraine to Arne Jacobsen´s designs and those of his grandchild Tobias Jacobsen. The combination of old lamps, the tiles and marble emphasis the uniqueness of the rooms. A particular highlight is our furniture from Thailand, that has partly been specially fitted into our building and has been harmoniously integrated into our comfortable atmosphere. As there were more and more requests for individual, well-kept and exceptional accommodation in this area over the years, in the following years the cottages “La petite maison” and then “Design-Vier” were added. We are convinced that you will enjoy the stay in our feel-good houses. 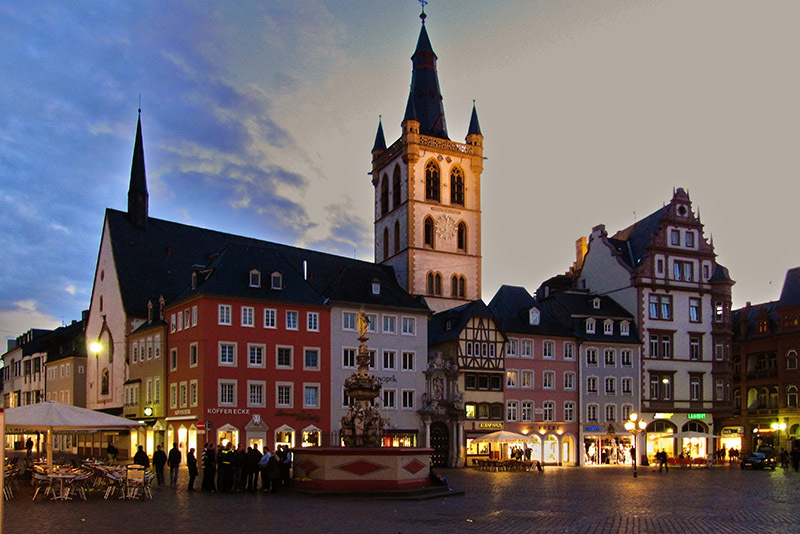 Enjoy the unique, historic surroundings of Pfalzel, with the Klosterschenke (www.hotel-klosterschenke.de), the Wallmauer, the collegiate church and the Moselle promenade. With space for up to 8 people our largest holiday home. Modern technology, combined with mud building, traditional processing and careful restoration of a baroque ensemble from 1741. A look into the "Lehmgefühl". 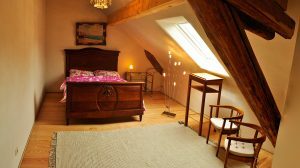 A whole romantic holiday home – from the 18th century – located close to the bike path Trier – Koblenz, in one of the historic districts of Trier, Pfalzel. The bed from Thailand, full, more than 100 years old wood, the mattress 210 cm long. The cuddle sofa in the living room from China, carved and painted in gold. 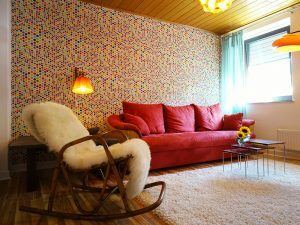 In Trier-Pfalzel, in the immediate vicinity of the Moselle and the Mosel-Bike path, you will find our cozy holiday home “Design Vier”, which can accommodate up to 4 people. More about the "Design Vier". 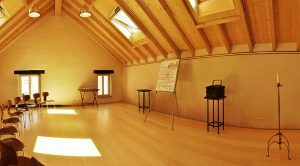 In an old rustic barn, our extensive and careful restoration has created spaces that invite you to study and work. We are pleased to receive once again for 2018 the Guest Review Award from booking.com with the grade 9.1 and the airbnb label Superhost. We would like to thank all our guests. It is a great pleasure for us to have received these awards, which spurs us on to continue to give only the best for our guests. Every year, booking.com awards accommodation that has consistently high valuation results. These are accommodations with an average score of at least 8.0 and at least 10 reviews on your side. 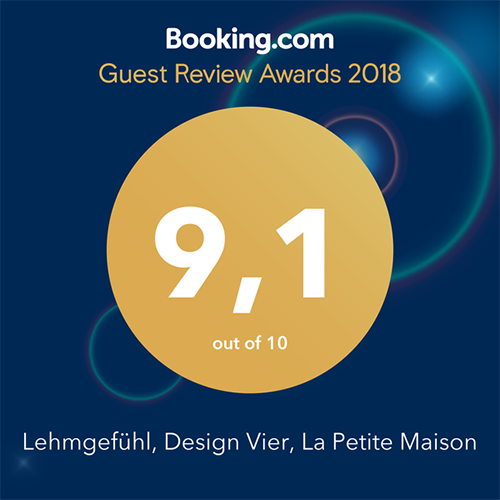 The Guest Review Awards from booking.com are a great way to highlight these accommodations and to share the good experiences that guests had there. Super Hosts are experienced hosts who are a shining example to other hosts and offer their guests an extraordinary travel experience. 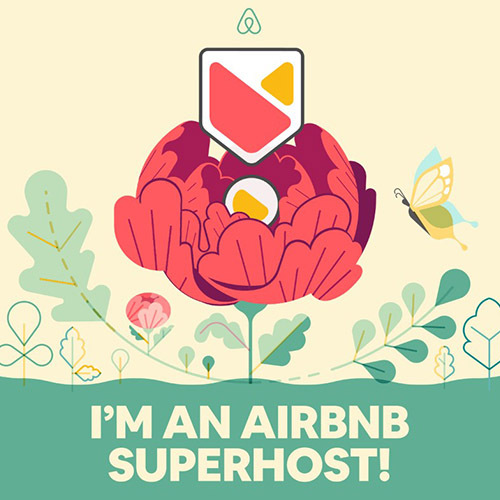 Once hosts reach superhost status, a badge appears in their listing and profile so you can easily identify them. The charming Moselle landscape offers plenty of opportunities for sporting leisure activities. The Moselle Bike Path leads just a few meters past your accommodation and the multi-award winning Moselsteig is in the immediate vicinity. Numerous marinas are located in the area and allow you as well as the excursion boats, which start from Trier Moselle, to spend your holidays on the water. Pfalzel, Trier, Luxembourg … the Mosel, the Eifel, the Hunsrück … there is unlikely much to discover around your holiday home. We have summarized the most important information about the environment so that you can get an idea of your holiday region in advance. Of course we are at your disposal for individual requests and inquiries. Are you planning your vacation in one of the most famous and beautiful wine regions in the world? Moreover, in a region that is influenced by the regional cuisines of the Eifel, the Hunsrück and the Moselle as well as those of the neighbours Luxembourg and France. 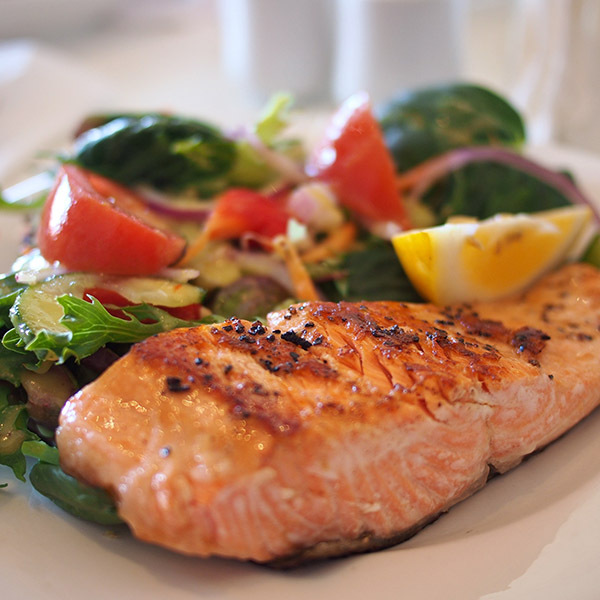 We are convinced that you will not only get to know the scenic, but also the culinary beauty. We are happy to give you some tips. Save 5% on direct booking through our website. Click on the button and name the coupon code "WEB5" in your e-mail.